Houtman's hands move with a fast and even rhythm, but it’s not just the yarn that’s knitted together. With each stitch, new connections are made in her brain, reducing anxiety, lowering blood pressure, and bringing a sense of well- being. While working with her patients, Houtman became fascinated with the concept of neuro-plasticity and the ability of the brain to rewire itself. She says the brain can create new pathways when we are exposed to novel experiences or learn a new task. Repetition of those new tasks can strengthen those new pathways - repetition like the act of knitting. Houtman learned to knit and crochet from her grandmother. She strengthened her skills in 4H and has been knitting and crocheting ever since. 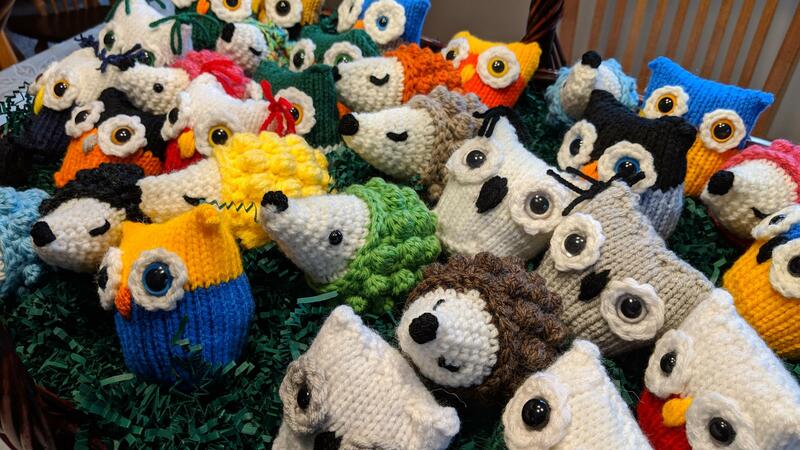 Working as a nurse, she thought about how to combine her two passions and eventually created Knitwell to teach others how to knit in private or group lessons, or simply to gather together and knit in a group. Houtman says there are several reasons why knitting makes you feel better. Houtman says she used these techniques when she became a patient herself recently. 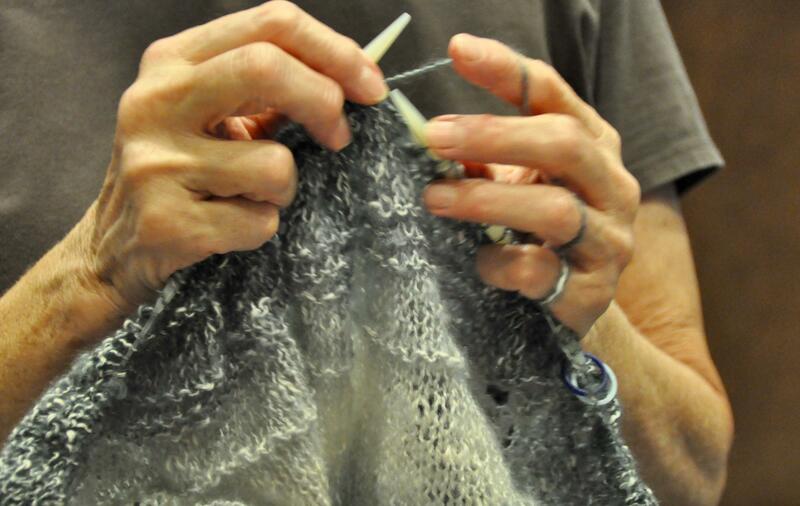 She would knit while waiting in the examination room, or, when she didn’t have her knitting needles with her, she visualizing her hands creating a neat row of stitches in her mind while awaiting a medical procedure. Houtman also says knitting has the added benefit of releasing serotonin in the brain, which improves mood and brings a sense of calmness. It can also reduce blood levels of the "stress hormone" cortisol. To contact Houtman about private lessons or to join a knitting/crocheting group, visit her website. Listen to WMUK's Art Beat every Friday and 7:50 a.m. and 4:20 p.m.